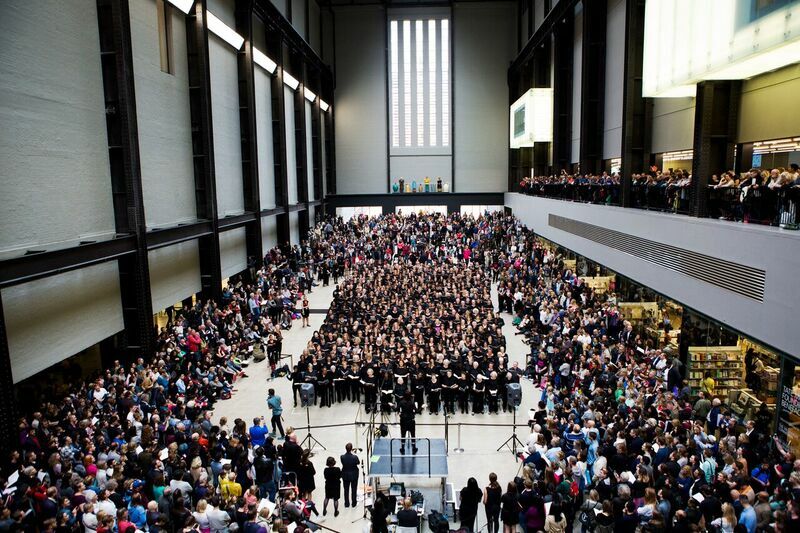 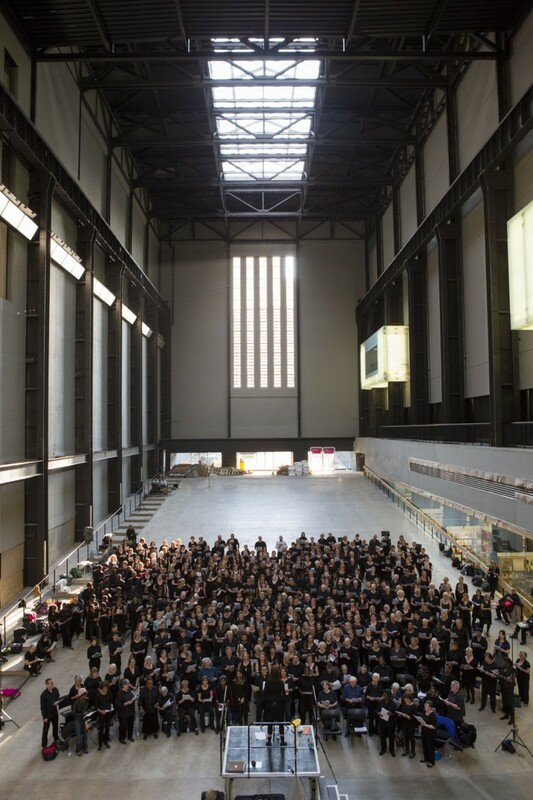 Esmeralda performed as Music Director and Conductor for a 500 choral mass piece at Tate Modern Turbine Hall as part of the opening programme on June 2016. 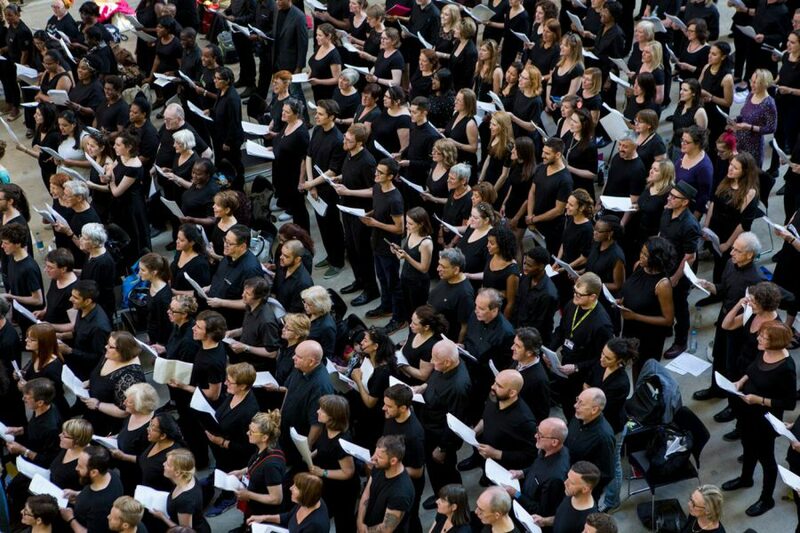 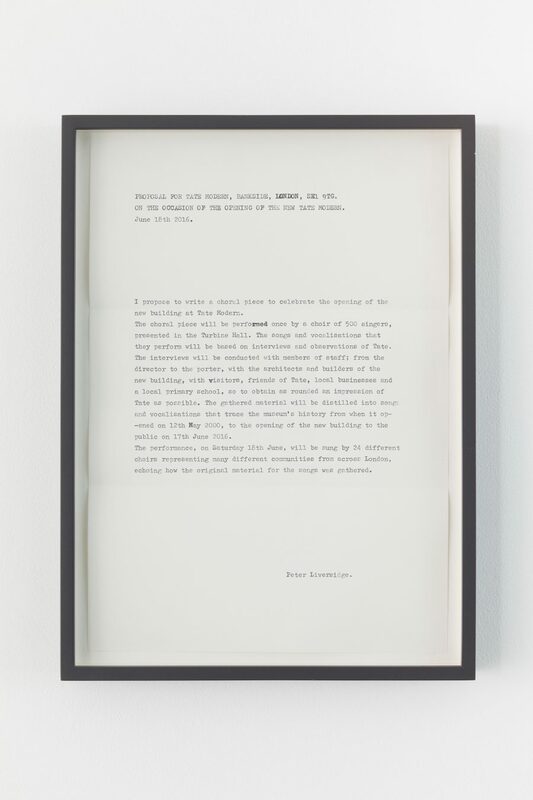 In close collaboration with artist Peter Liversidge and curator Synthia Griffin Esmeralda covered all production stages form recruitment, liaison, artist development, score transcripts, performance support to leading all mass rehearsals. 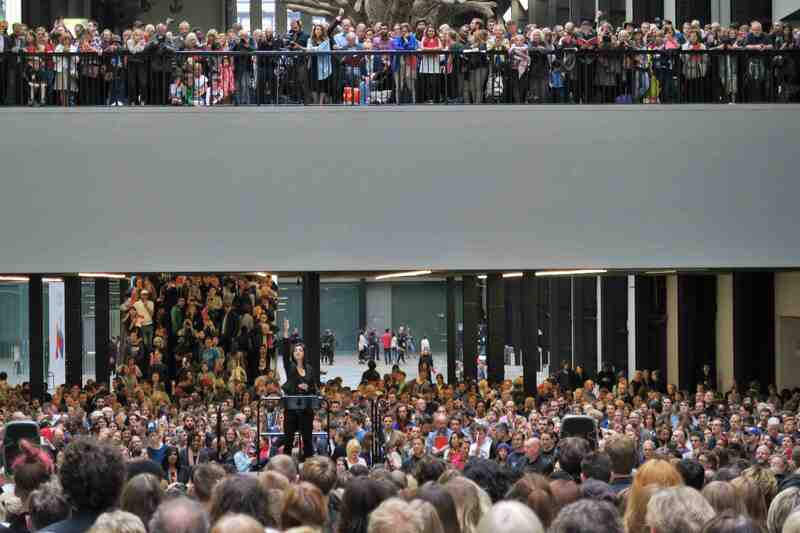 Additionally she conducted the centrepiece performance on opening weekend in Turbine Hall and in Switch House.